Annual checkups may seem unnecessary if your pet looks healthy but there are myriad reasons why they’re essential. And the added bonus: they’re a great cost-saver. Why does my pet need an annual checkup? 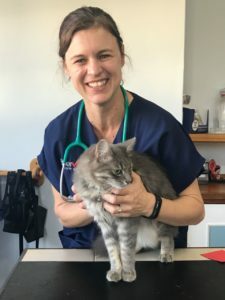 It’s very important that when you get to see your vet you are able to tell her as much about your pet’s health and behaviour as possible before she examines your pet. Pay close attention to your pet for several days before your vet appointment. Is he sleeping more than usual? Is he drinking a lot of water? Is he struggling to urinate or does he have diarrhoea? Is he sneezing or wheezing? Is he limping or growling when touched? Has he lost his appetite or is he losing weight in spite of eating more than usual? All of these are symptoms of disease and will help your vet make a diagnosis. Many owners avoid annual checkups because they don’t want to pay the vet’s consultation fee but treating advanced illnesses and disease is way more costly; the sooner an ailment is detected and treated, the greater the cost-saving for you. Your pet’s diet plays an important role in his state of health. Tell your vet exactly what you feed him; you may be inadvertently feeding too much, putting him at risk of diseases like diabetes. 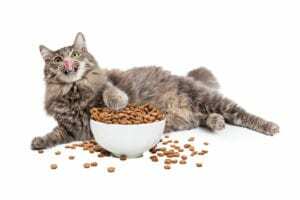 Or, the kibble he’s eating could be impacting his kidneys or causing skin allergies (some commercial supermarket brands have been linked to health issues). 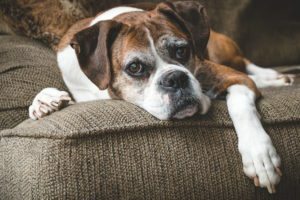 There are certain breeds that are predisposed to particular diseases and a prescription diet could help support a treatment plan. And don’t forget the treats. Be honest about what treats you dish out, and how often. Your pet will be given a thorough physical examination: ears, eyes, throat, teeth, temperature and heart. Your vet will also run her hands over your pet searching for hidden lumps and bumps – growths which could indicate cancer. These are much better dealt with early when they are smaller than waiting until they’re larger and bothering the dog or cat. Your pet will be weighed, and weighed again at future checkups so that if his weight dips or rises, your vet will know there’s a problem and can step in with an early diagnosis. Blood and urine samples may be taken for testing. These will find diseases far in advance of them showing up symptomatically; diseases like kidney disease in cats which is very common and takes years for them to progress but can be detected very early with blood tests. By the time you see a cat drinking excessively or urinating excessively (outward symptoms of kidney disease) the disease is far advanced. With early diagnosis, we have a better chance of treatment. An annual checkup is an ideal time to discuss vaccination with your vet. Vaccinations are often the only line of defence against killer diseases like distemper and parvo virus. Ask your vet which vaccinations your pet should have. From the age of 7, your pet should see the vet twice a year. That’s because they’re more at risk of age-related ailments and the sooner they’re detected, the easier – and cheaper – they are to treat.